. Steeda’s Dario Orlando and Glen Vitale, President and Vice President, respectively, have taken that to heart. 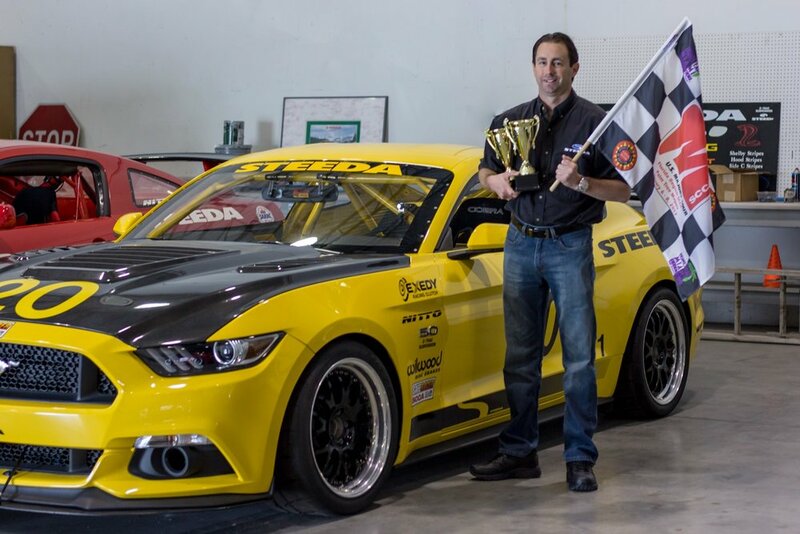 The duo won the SCCA 2017 Tropical Endurance Series, running in the T1 Class with Steeda’s #20 Yellow S550 Mustang Race Car. The Tropical Endurance Series is run on a number of tracks throughout south and central Florida, with most events being run as 90-minute Enduro races in conjunction with SCCA regional races. Steeda sets out to dominate on the drag strip with the introduction of their 2018 Mustang GT Drag Car - within the first couple of runs, Steeda successfully sets a new world-record by going 10.71 sec. @ 128 mph!